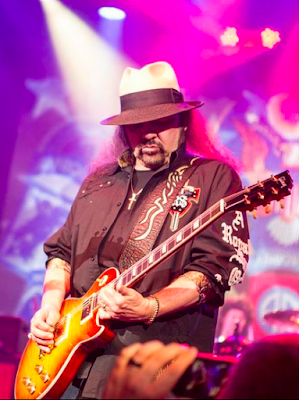 Lynyrd Skynyrd have temporarily halted their summer tour as guitarist Gary Rossington underwent heart surgery this week after experiencing some chest pains and sought medical attention. The Southern rock legends originally cancelled a July 19 appearance at Artpark in Lewiston, NY while Rossington was checked out and, following surgery, have updated fans on the status of their upcoming shows. “The Lynyrd Skynyrd band is canceling or rescheduling the next 2 weeks of touring, while Gary Rossington recovers at home from heart surgery to repair blockage in his arteries,” said the band via social media. Rossington suffered a heart attack last October that saw the group cancel the final pair of 2015 dates while he recuperated. The guitarist is the sole original founding member of Lynyrd Skynyrd, whose roots date back to 1964 in Jacksonville, FL.